Downsizing your home? Maybe you’re working to find a new home for your loved ones’ possessions after a move or after someone has passed away. Goodwill Easterseals Miami Valley wants to help. 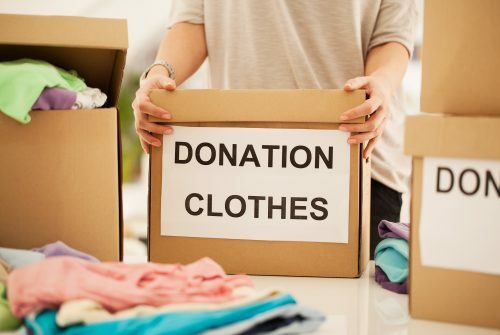 Although we are not able to pick up small single-item donations (one piece of furniture or a few boxes/bags), our estate and downsizing service will gladly accept large donations, free of charge, and will work with you to schedule a convenient pick-up date and time. When you call us at 937-528-6459, we will conduct an assessment over the phone. Once we determine if we can do a pick-up, we can schedule a time and day that works for you. Your donations will be sorted and sold at local Goodwill Stores, our Outlet and online. Revenue from the sale of your donations stays local and supports our mission of empowering people with disabilities and other disadvantages to achieve independence and have a better quality of life. What Items Can I Donate? Are There Things Goodwill Cannot Accept?